Technical Education Board Job Circular 2017. 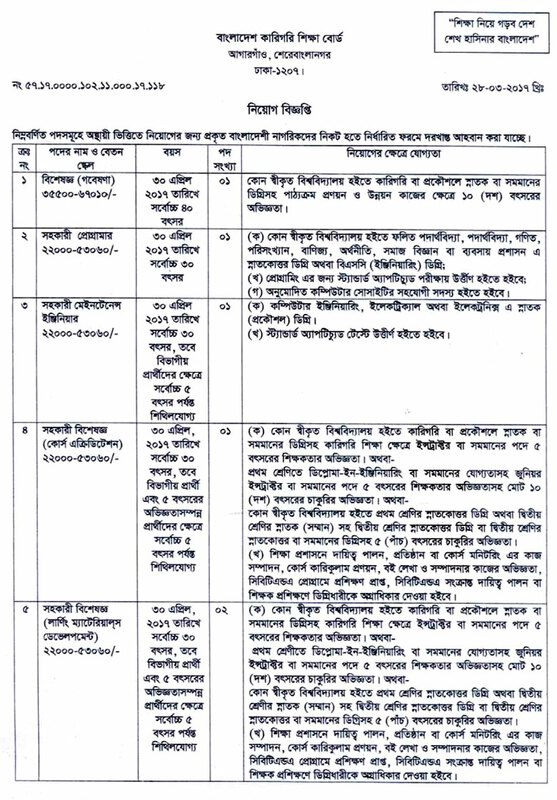 Bangladesh Technical Education Board (BTEB) a renowned government organization will recruit for various 19 Posts circulated a recruitment advertise of Job Opportunity on 28 March 2017. Bangladesh Karigori Shikkha Board BTEB Job Circular 2017. Interested and eligible Bangladeshi Citizenship candidates are requested to apply after fulfilling the circularized conditions and instructions. Deadline for Submitting Application is 30 April 2017. BTEB Job Circular 2017. 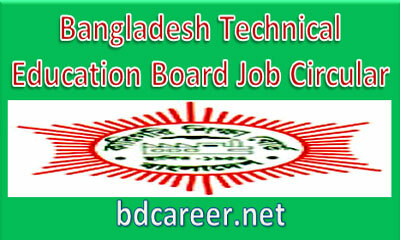 Bangladesh Technical Education Board (BTEB) is a government organization. BTEB is searching for few highly motivated, dynamic, energetic experienced and pro-active people to lead the energetic team. How to Apply: Interested candidates may Apply through a Particular Application Form provide by BIWTA website i.e. 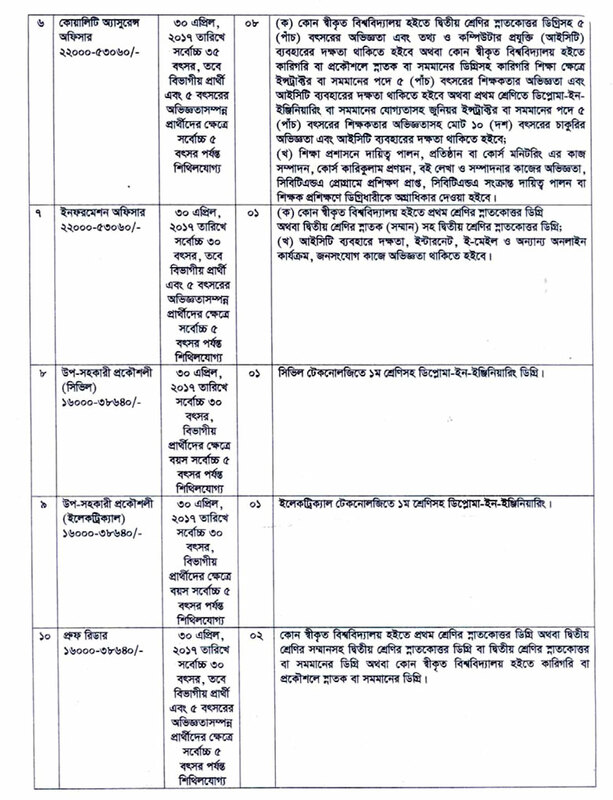 www.bteb.gov.bd after Form fill up and send the following address: To the Secretary, Bangladesh Technical Education Board BTEB, Agargaon, Sher-e-Bangla Nagar, Dhaka-1207. The application will be submitted within office time on or before 5:00 P.M on 30 April 2017 after fulfilling the circularized conditions and instructions above.